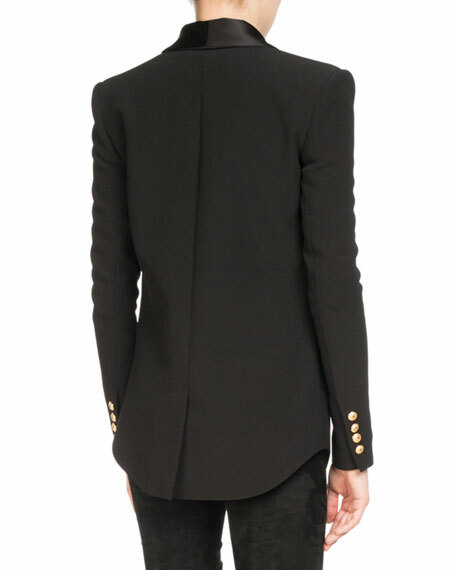 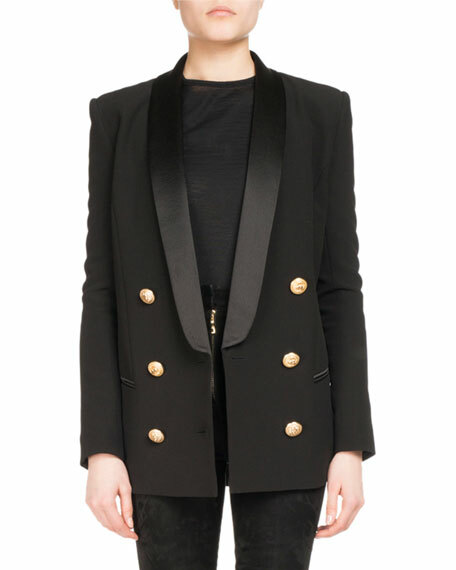 Balmain pea coat with a smoking-jacket aesthetic. 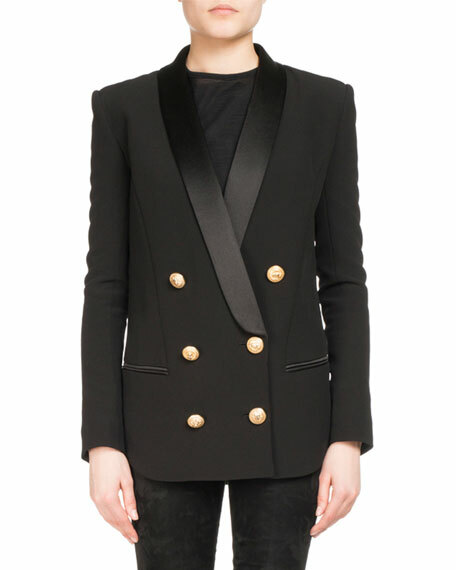 Satin shawl collar; double-breasted button front with signature gold buttons. 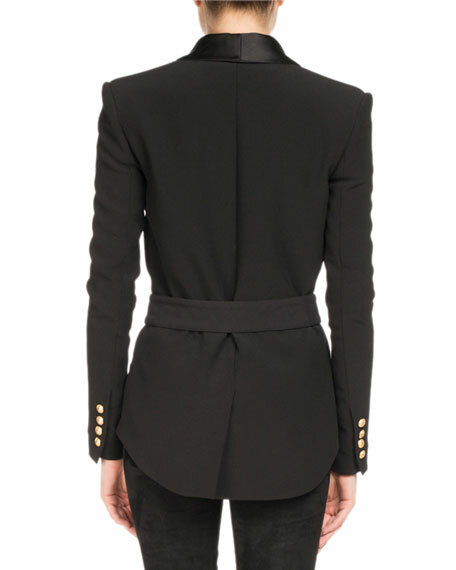 For in-store inquiries, use sku #2266475.